Prof. Jo Adams is a Professor of Musculoskeletal Health within Health Sciences, University of Southampton. Jo is an occupational therapist by background. She has led both national and international applied translational research programmes related to developing effective self- management approaches for individuals with musculoskeletal diseases. Her research is widely published and she leads collaborative partnerships to improve the translation of research into NHS clinical practice. She is also an experienced educator having taught health care professionals at pre and post registration level for over 23 years. Supporting patients, clinicians, engineers and industry to work together to solve musculoskeletal challenges helps to ensure that innovative solutions to improve the quality of life for people with musculoskeletal conditions are translated and implemented swiftly. All my research has benefited from being multi -disciplinary and includes teams that include allied health, nursing, rheumatologists, surgeons, epidemiologists and public health physicians, engineers, teachers, patients, educationalists and lay representatives. I have led or been part of national and international multi-disciplinary teams that have secured >£8.2m in applied clinical research grants. I also champion the involvement of patients and public in clinical research design and development. My education commitments include both undergraduate and post-graduate level and I welcome doctoral supervision with international students. I have worked as an occupational therapist in America, Canada, Bangladesh and Uganda and have current active research links with Australia, Canada, Denmark, France, Germany, Netherlands, New Zealand, North America, Norway, Sweden. I am committed to supporting colleagues and students in developing an applied research career and serve as a mentor for the National Institute for Health Research to support clinical academic careers and also lead the South Central Allied Health Research Network working alongside clinical staff to implement and integrate research into the NHS and social services. I am delighted to serve as Director of FortisNet, a collaborative network within the Institute of Life Sciences that brings together patients, clinicians, engineering academics and industry to work together to design, develop and bring to market innovative solutions for global musculoskeletal challenges. Haji Abdullah Sani Bin Haji Kamis Sani (Brunei Govt) “The development of a systematic management and care pathway for people with foot complaints associated with rheumatoid arthritis in Brunei Darusalam. The educational and professional development needs of health and social care practitioners working with people with musculoskeletal disease. My research has been funded in the past by the Faculty of Medicine, Health and Life Sciences, Wessex Medical (HOPE), Ascension Orthopaedics USA, the College of Occupational Therapy, the Life Science Interface, Arthritis Research UK and The National Institute of Health Research (HTA). My current research projects are based on clinical effectiveness studies of routine conservative therapy (such as resistive exercise, joint protection and splints) provided to people with rheumatoid arthritis affecting their hands. I am also part of a surgery and engineering team exploring innovative investigations into joint functioning. Her practice-based research involves surveying the CPD educational opportunities for nurses and allied health professionals working in musculoskeletal care. All my research work has been clinically focused and involved working alongside multi-disciplinary allied health and nursing teams. I have benefited from working alongside a substantial group of committed and supportive clinicians, engineers, surgeons, medical statisticians and rheumatologists based throughout the UK. This is a five year Centre of Excellence grant to establish world leading research into sport, exercise and osteoarthritis. This grant builds on previous work exploring the current levels of knowledge and confidence of nurses in providing pain management advice to people with Rheumatoid arthritis. National Health Professionals Musculoskeletal Internship Programme: Arthritis Research UK. £120,000. This exciting new venture provides funding to support a national multidisciplinary internship support and development to the outstanding health professional graduates to develop their careers working with people with musculoskeletal conditions. This research aims to systematically review the available evidence using a standardised review tool to assess and report the immediate and long term functional effectiveness of PIPJ arthoplasty. This project reviewed the immediate effectiveness of custom made small finger silver ring splints for people with hand rheumatoid arthritis in preventing hyperextension when conducting functional movement. This research is about what people can do with their hands in the early stages of rheumatoid arthritis. Research to measure abnormal movement accurately with a view to improving diagnosis and treatment. MSKInterns: Graduate Rheumatology Research Internships for Nurses and Allied Health Professionals. The aim of this project is about developing a national network of healthcare professional research internships in rheumatology. 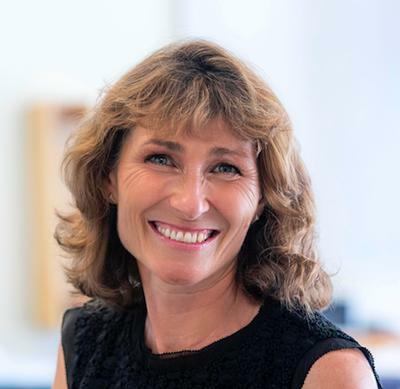 Funded by the charity Arthritis Research UK the governance of the programme is overseen by Professor Catherine Bowen at the University of Southampton, who is joined by expert colleagues from a network of universities including Leeds, Salford, Oxford and the West of England. The aim of this research project was to explore the current situation and the challenges regarding CPD for nurses and AHPs who work with people who have musculoskeletal conditions. This research looks at the development and pilot testing of a splint to relieve pain and improve function in people with thumb osteoarthritis. The SARAH trial is looking at two approaches to treatment for Rheumatoid Arthritis (RA) affecting the hands. This review is to explore the effectiveness of non-pharmacological interventions used in people with arthritis following breast cancer. This research will conduct a systematic review and qualitative synthesis of the effectiveness of patient education for people with low literacy levels. This research will identify and define the current and ongoing educational needs of nurses, allied health professionals (AHPs) and associate health and social care practitioners working in musculoskeletal disease. As Professional Lead for Occupational I have an externally facing role working alongside national and international universities, networks, medical charities and research organisations. I am also a UK allied health representative on the Scientific Committee of the British Health Professionals in Rheumatology. I am the national Patient and Public Involvement Lead for the Arthritis Research UK Centre of Excellence for Sport, Exercise and Osteoarthritis. The National Association of Rheumatology Occupational Therapists. I am editorial board member for Musculoskeletal Care and have previously sat as editorial board member on the British Journal of Occupational Therapy and the International Journal of Rehabilitation Research. I currently review academic papers for Arthritis Care and Research; Rheumatology; Clinical Rheumatology; British Journal of Occupational Therapy; Australian Occupational Therapy Journal; Journal of Hand Therapy. Society of Chiropodists and Podiatrists Standards of Care for the Rheumatoid Foot. Sankah, B. E. A., Stokes, M., & Adams, J. (Accepted/In press). Development, prescription and adherence to exercise programs in the management of people with hand osteoarthritis: a scoping review protocol. JBI Database of Systematic Reviews and Implementation Reports. Arab Alkabeya, H., Hughes, A-M., & Adams, J. (Accepted/In press). Factors associated with hand and upper arm functional disability in people with rheumatoid arthritis: a systematic review. Arthritis care and research. Newington, L., Warwick, D., Adams, J., & Walker-Bone, K. (Accepted/In press). Variation in pre-operative management of carpal tunnel syndrome. Royal College of Physicians Bulletin. Algeo, N., Hunter, D., Cahill, A., Dickson, C., & Adams, J. (2017). Usability of a digital self-management website for people with osteoarthritis: A UK patient and public involvement study. International Journal of Therapy and Rehabilitation, 24(2), 78-82. Grieve, S., McCabe, C., & Adams, J. (Accepted/In press). "What I really needed was the truth". Exploring the information needs of people with Complex Regional Pain Syndrome. Musculoskeletal Care. Bowen, S., Luan, X., Ma, Q., & Adams, J. (2015). A comparison of the indicators of hand function in early RA populations from the UK and China. Rheumatology, 54(S1), p.i114. Algeo, N., Adams, J., Hunter, D., Cahill, A., & Dickson, C. (2015). A patient and public involvement group study on the usability of the MYJOINTPAIN.ORG website. Rheumatology, 54(S1), p.i105. Rule, A., Bridges, J., & Adams, J. (2015). Discharge decision making for older people. A review of the literature using a qualitative synthesis. British Journal of Occupational Therapy, 78, (Supplement 8):1-131. [P157]. Adams, J., Woods-Townsend, K., Grace, M., Warner, M., Bowen, C., McQueen, P., ... Stokes, M. (2015). Raising teenagers awareness of musculoskeletal health through LIFELAB: a collaboration between school students, teachers and clinical academic researchers. Rheumatology, 54(S1), i37. Hanif Farhan, M. R., White, P., Adams, J., & Warner, M. (2015). The relationship between carrying activity and low back pain: a critical review of biomechanics studies. Malaysian Journal of Health Sciences, 13(2), 1-25. Thyberg, I., Dahlstrom, O., Bjork, M., Senstrom, B., & Adams, J. (2013). Hand pains and general pain in women and men in early RA: A one year follow up after diagnosis in the TIRA-2 cohort. Annals of the Rheumatic Diseases, 72(S3), 777. Brooks, C., Ballinger, C., Nutbeam, D., & Adams, J. (2013). Literacy levels required to understand regularly accessed falls prevention websites aimed at the public. Journal of Physical Therapy and Health Promotion, 1(1), 8-14. Hislop, K., Barbosa Boucas, S., Hutt Greenyer, C., & Adams, J. (Accepted/In press). Patient and public involvement (PPI) in informing the osteoarthritis of the thumb therapy (OTTER) pilot trial: What matters most to people with thumb base osteoarthritis. Annals of the Rheumatic Diseases, 72(S3), 778. Williams, M., Heine, P., McConkey, C., Lord, J., Dosanjh, S., Williamson, E., ... Lamb, S. (2013). SARAH: strengthening and stretching for people with rheumatoid arthritis of the hands: a randomized controlled trial. Rheumatology, 52, i31-i32. Williams, M. A., Heine, P. J., McConkey, C., Lord, J., Dosanjh, S., Williamson, E. W., ... Lamb, S. E. (2013). SARAH: Strengthening and stretching for people with rheumatoid arthritis of the hands: a randomized controlled trial. Annals of the Rheumatic Diseases, 72(S3). Lowe, W., & Adams, J. (2013). The evolving concept of health literacy and evidence from a systematic review of accessibility of arthritis patient education. Rheumatology, 52, i23-i24. Brooks, C., Ballinger, C., Adams, J., Russell, C., & Nutbeam, D. (2013). Using health literacy communication skills with service users. British Journal of Occupational Therapy, 76(7_ Suppl. ), 101-101. Haywood, H., Pain, H., Ryan, S., & Adams, J. (2012). Engagement with continuing professional development: development of a service model. Journal of Allied Health, 41(2), 83-89. Brooks, C., Adams, J., Ballinger, C., & Nutbeam, D. (2012). The readability of English-language falls prevention websites aimed at the public. Journal of Aging and Physical Activity, 20, S104-S105. Murphy, N., Dasari, B., & Adams, J. (2009). A review of osteoarthritis of the trapeziometacarpal joint (TMJ). The Journal of Rheumatology Occupational Therapy, 24(1), 8-11. Adams, J., Macleod, C., Metcalf, C., & Spicka, C. (2008). ARC silver medal award: a research report on the effectiveness of silver ring splints in preventing proximal interphalangeal joint hyperextension during functional activity. The Journal of Rheumatology Occupational Therapy, 23(1), 19-21. Barnes, J., & Adams, J. (2008). Differences in dominant and non-dominant handgrip strength of male golf professionals measured using the Jamar dynamometer. Hand Therapy, 12(4), 112-116. Harwin, S., & Adams, J. (2007). Can pinch grip strength be used as a valid indicator of manual dexterity? International Journal of Therapy and Rehabilitation, 14(10), 1-7. Hodges, L., & Adams, J. (2007). Grip strength and dexterity: a study of variance between right- and left-handed healthy individuals. British Journal of Hand Therapy, 12(1), 15-21. Metcalf, C., & Adams, J. (2007). The development and clinical application of a new, small hand joint, functional 3D motion analysis assessment system for rheumatology and musculoskeletal rehabilitation research. International Journal of Rehabilitation Research, 30(Supplement 1), 24-25. Godtschailk, M., & Adams, J. (2006). An analysis of the inner and outer grip strength of rock climbers and matched healthy non-climbers. British Journal of Hand Therapy, 11(1), 15-21. Chapman, J., Watson, J., & Adams, J. (2006). Exploring changes in ocupational therapy students' approaches to learning. British Journal of Occupational Therapy, 69(10), 457-463. Watson, J., Chapman, J., Adams, J., & Nila, U. H. (2006). Occupational therapy students' approaches to learning: considering the impact of culture. British Journal of Occupational Therapy, 69(12), 548-555. Patel, A., Adams, J., & Davey, C. (2005). Diurnal variation in grip strength and hand dexterity in healthy adults. British Journal of Hand Therapy, 9(4), 122 - 127. Adams, J., Burridge, J., Mullee, M., Hammond, A., & Cooper, C. (2005). Self-reported hand functional ability measured by the DASH in individuals with early rheumatoid arthritis. British Journal of Hand Therapy, 10(1), 21-24. Adams, J., Hammond, A., Burridge, J., & Cooper, C. (2005). Static orthoses in the prevention of hand dysfunction in rheumatoid arthritis: a review of the literature. Musculoskeletal Care, 3(2), 85 - 101. Adams, J., Burridge, J., Hammond, A., & Cooper, C. (2005). The effects of early rheumatoid arthritis on dominant and non-dominant hand impairment and function. British Journal of Hand Therapy, 10(3/4), 93-97. Tyler, H., Adams, J., & Ellis, B. (2005). What can handgrip strength tell the therapist about hand function? British Journal of Hand Therapy, 10(1), 4-9. Adams, J., Hammond, A., Burridge, J., & Cooper, C. (2004). Upper limb functional disability in early rheumatoid arthritis. Rheumatology, 43(Supplement 2), ii 152. Adams, J. (2003). Splinting the rheumatoid wrist and hand: evidence for its effectiveness. Rheumatology, 42(S1), 153. Adams, J. (2002). Correlation between measures of self-report upper limb ability, hand impairment and function in an early rheumatoid arthritis population. Annals of the Rheumatic Diseases, 61(S1), p.490. Adams, J. (2002). Editorial: Assessment of hand grip power strength in rheumatology. The National Journal of Rheumatology Occupational Therapy, 16(1), 30 - 32. Macleod, C., & Adams, J. (2002). Improving patient adherence to swan neck ring splints. Rheumatology, 41(Abstract Supple), 89. Adams, J. (2002). The effects of early rheumatoid arthritis on dominant and non-dominant hand grip ratio. Annals of the Rheumatic Diseases, 61((S1)), p.490. Adams, J. (2002). The progression of rheumatoid hand impairment and function: a review of evidence. The Journal of Rheumatology Occupational Therapy, 16(1), 14 - 22. Adams, J. (2002). The purpose of outcome measurement in rheumatology. British Journal of Occupational Therapy, 65(4), 172 - 174. Adams, J., & Grisbrooke, J. (1998). The use of level access showers 12 months after installation. British Journal of Therapy and Rehabilitation, 5(10), 504 - 510. Whalley, K., Bradley, S., & Adams, J. (2017). Hand Therapy. In M. Curtain, M. Egan, & J. Adams (Eds. ), Occupational Therapy for People Experiencing Illness, Injury or Impairment (7th ed., pp. 523-540). (Occupational Therapy Essentials). Edinburgh: Elsevier. Bradley, S., & Adams, J. (2013). Rheumatology splinting. In L. Goodacre, & M. McArthur (Eds. ), Occupational Therapy Practice in Rheumatology: Promoting Lifestyle Management. (pp. 189-207). Chichester, GB: Wiley-Blackwell. Siegert, R. J., & Adams, J. (2012). Outcome measurement in rehabilitation. In S. Dean, R. Siegert, & W. Taylor (Eds. ), Interprofessional Rehabilitation: a Person Centred Approach (pp. 109-133). Chichester, GB: Wiley-Blackwell. Adams, J. (2010). Orthotics of the hand. In K. Dziedzic, & A. Hammond (Eds. ), Rheumatology: Evidence Based Practice for Physiotherapists and Occupational Therapists (pp. 163-170). Edinburgh, GB: Churchill Livingstone. Arab Alkabeya, H., Hughes, A-M., & Adams, J. (2018). Factors associated with hand functional disability in people with rheumatoid arthritis: a systematic review and best-evidence synthesis. Abstract from ICR 2018: 20th International Conference on Rheumatology, London, United Kingdom. Hammond, A., Prior, Y., Sutton, C., S, C., Camacho, E., & Adams, J. (2018). The effects of Arthritis gloves on hand pain in people with rheumatoid or inflammatory arthritis: a randomised controlled trial (A-Gloves Trial). Abstract from Annual European Congress of Rheumatology EULAR 2018, Amsterdam, Netherlands. Grieve, S., Adams, J., & McCabe, C. (2014). "What I really needed was the truth": exploring the information needs of people with CRPS. Poster session presented at British Pain Society Annual Conference, . Brooks, C., Adams, J., Ballinger, C., & Nutbeam, D. (2014). Health literacy workshop: Improving accessibility, understanding and use of consumer health information. 16th International Congress of the World Federation of Occupational Therapists Conference, Japan. Adams, J. (2014). Highlights of EULAR 2014 from a health professional view. European League Against Rheumatology Annual Conference (EULAR 2014), France. Adams, J., Williams, M., Heine, P., McConkey, C., Lord, J., Dosanj, S., ... Lamb, S. (2014). SARAH: strengthening and stretching for rheumatoid arthritis affecting the hand: a randomised controlled trial. Paper presented at World Federation of Occupational Therapists Conference, Japan. Brooks, C., & Adams, J. (2014). The development of occupational therapy clinical academic career pathways. Paper presented at 16th International Congress of the World Federation of Occupational Therapists Conference, Japan. Herbert, H., Adams, J., Lowe, W., & Lueddeke, J. (2013). Individuals with lower literacy levels accessing and navigating healthcare. Poster session presented at Worldwide University Network Health Literacy Conference, Sydney, Australia. Brooks, C., Adams, J., & Ballinger, C. (2013). Literacy levels required to understand regularly accessed falls prevention websites aimed at the public. Poster session presented at Worldwide University Network Health Literacy Conference, Sydney, Australia. Lowe, W., Ballinger, C., Nutbeam, D., Russell, C., Protheroe, J., Lueddeke, J., ... Adams, J. (2013). The effectiveness of musculoskeletal patient education provided to people with lower levels of literacy: a systematic review. Paper presented at World Wide University Network Health Literacy Conference 2013, Australia. Brooks, C., Adams, J., & Ballinger, C. (2013). Using health literacy communication skills with service users. College of Occupational Therapists Annual Conference, . Metcalf, C., Spicka, C., Adams, J., & MacLeod, C. (2009). Quantifying the effectiveness of silver ring splints to correct swan-neck deformity. Paper presented at 22nd Congress of the International Society of Biomechanics, South Africa. Spicka, C., Adams, J., MacLeod, C., & Metcalf, C. (2007). The use of clinical assessment and novel 3D motion analysis to examine the effectiveness of silver ring splints in RA. 3rd LSI Conference, United Kingdom. Watson, J., Chapman, J., & Adams., J. (2006). Changes in learning styles during pre-registration occupational therapy education. Poster session presented at 14th Congress of the World Federation of Occupational Therapists, . Watson, J., Chapman, J., Adams, J., & Ummey Hamila, N. (2006). The impact of culture on the learning styles of occupational therapy students. Paper presented at 14th Congress of the World Federation of Occupational Therapists, . Wintrup, J., Nascimento, J., D'Aeth, A., Phillips, L., Wheeler, L., Laosebikan, P., ... Truman, J. (2015). Developing global health citizens through a European partnership: working with student co-researchers and digital champions to investigate intercultural learning. The Higher Education Academy. Adams, J., Macleod, C., Metcalf, C., & Spicka, C. (2008). ARC silver medal award: a research report on the effectiveness of silver ring splints in preventing proximal interphalangeal joint hyperextension during functional activity. (Arthritis Research Campaign). Gosport, GB: Arthritis Research UK.